1. I would not return to using chemical cleaners that are bad for my family. 2. I find recycling necessary to keep our planet clean. 3. I would like people to care more about our planet water resources. 4. I am sure our clean and safe future is worth new green habits today. 5. I am concerned about the long-term effects of pollution in big cities. 6. I am trying to stop people from polluting the air. 7. I want people stop and think about the way we treat waste. A) Every year Betsy spends the New Year abroad. B) Betsy thinks that the trip was not worth the money. C) There is an active volcano on the island. D) Betsy led an active life on the island. E) The zoo had more than a hundred species of wild birds. F) There are no snow-capped mountains on the island. G) Foreigners are not allowed to own property on the island. What do we learn about Maggie’s musical education? 1) She didn’t have a special music talent. 2) She attended a musical school for 9 years. 3) She didn’t like playing the piano very much. Why did Maggie want to become an actress? 1) This profession runs in her family. 2) She wanted to overcome the stage fright. 3) Acting on stage felt natural to her. What does Maggie say about directors and directing? 1) She thinks David Lynch is the best director. 2) She feels she could herself direct a film one day. 3) She thinks she was fortunate to work with many talented directors. What does Maggie say is the most important thing for her about a film? 1) such roles provide lots of opportunities to an actress. 2) people like her in such roles. 3) she is a future mother herself. What does Maggie think of her appearance? 1) She thinks she should take care of the way she looks on screen. 2) She thinks her looks don’t interfere with her job. 3) She thinks she’s very beautiful. What does Maggie love about being an actress? 1) Being able to play both men and women. 2) Being able to express complex characters. 3) Being able to look beautiful on screen. Nevsky Prospect is the main and most famous street of St. Petersburg. The unique architectural ensemble of Nevsky Prospect was formed during the 18th – early 20th centuries. It starts from the bank of the Neva River, runs through the centre of the city and ends at the Neva River. The whole history of St. Petersburg can be seen in the history of the avenue. Nevsky Prospect is 4.5 km long and 25-60 m wide. The narrowest section is located from the Admiralty to the Moika River, A_______________________. After the construction of the Admiralty in 1704 and the Alexander Nevsky Monastery in 1710, it was decided to build a road B_______________________ each other and with the Novgorod Path, which was used by Russian merchants. The construction began on both sides at the same time, the roads were laid through the wood, and in 1760s they were connected into one road, C_______________________, but with a turn at the Vosstaniya Square. Nevsky Prospect got its name only in 1783. The road was paved with cobble stones, D_______________________. It was the first street in St. Petersburg with gas lighting. By the early 20th century Nevsky Prospect had become the financial centre of Russia E_______________________ had their offices there. Nowadays, Nevsky Prospect is the centre of cultural and social life of St. Petersburg. There are museums, theatres, exhibition halls, cinemas, restaurants, cafés, shops F_______________________. A little over a month ago, I sent Oxford a rejection email that parodied the thousands that they send each year. Much to my surprise, it has become a bit of an Internet hit, and has provoked reactions of both horror and amusement. In my letter I wrote: "I have now considered your establishment as a place to read Law (Jurisprudence). I very much regret to inform you that I will be withdrawing my application. I realize you may be disappointed by this decision, but you were in competition with many fantastic universities and following your interview, I am afraid you do not quite meet the standard of the universities I will be considering." I sent the email after returning from my interview at Magdalen College, Oxford, to prove to a couple of my friends that Oxbridge did not need to be held in awe. One of them subsequently shared it on Facebook because he found it funny. I certainly did not expect the email to spread as far as it has. Varying between offers of TV interviews and hundreds of enthusiastic Facebook messages, it has certainly been far-reaching. Many of my friends and undoubtedly many strangers were unable to comprehend that I'd sent such an email to this bastion of prestige and privilege. Why was I not afraid of damaging my future prospects as a lawyer? Didn't I think this might hurt my chances with other universities? For me, such questions paint a picture of a very cynical society. I do not want to study law because I want to be rich, or wear an uncomfortable wig and cloak. Perhaps optimistically, I want to study law because I am interested in justice. To me, withdrawing my application to an institution that is a symbol of unfairness in both our education and the legal system (which is so dominated by Oxbridge graduates) makes perfect sense, and I am reluctant to be part of a system so heavily dominated by such a narrow group of self-selecting elites. So, why did I apply in the first place? If you're achieving high grades at A-level (or equivalent), you can feel quite a lot of pressure to "prove yourself' by getting an Oxbridge offer. Coupled with the fact that I grew up on benefits in council estates throughout Bristol - not a type of heritage often associated with an Oxbridge interview -1 decided to give it a try. It was only at the interview that I started to question what exactly I was trying to prove. I was well aware that fantastic candidates are often turned down, and I did not believe that this was a true reflection of their academic potential. Although I share concern that not going to Oxbridge gives you a "chip on your shoulder", I did not write to Oxford to avoid the risk of being labeled as an "Oxbridge reject": I already am one. Last year I made an (admittedly weak) application to Cambridge and was inevitably rejected post-interview. A year ago, I was in awe of the beautiful buildings of Oxbridge, but today I am in awe of the sheer number of people who, like me, have managed to not take it so seriously. Ultimately, I am not harming Oxford by laughing at it, and it is an amazing feeling to realize that so many people are enjoying my email. Actually, I was amazed to know how many people of different ages bothered to read it and even to leave their comments about it in Facebook. I had fun reading some of them, too. 2) found the topic very interesting. 4) were outraged with the letter. 1) people seem to be more worried about reputations. 3) lawyers do their job for high incomes. 4) universities are very selective. 4) is hard to understand. 1) reflection of one's potential. 2) feelings of unfair treatment. In autumn you can see large flocks of birds flying from Russia to warmer countries. In spring, they come back to us. Migration is the periodic seasonal ______ of birds. The main routes connect Europe and Africa, Europe and South-Eastern Asia and Australia, North and South America. How do we know about these routes? ______ study birds. They catch birds, place small bands with numbers on the birds’ legs and then let the birds fly away. Some of these banded birds are caught again. The band tells about the route. 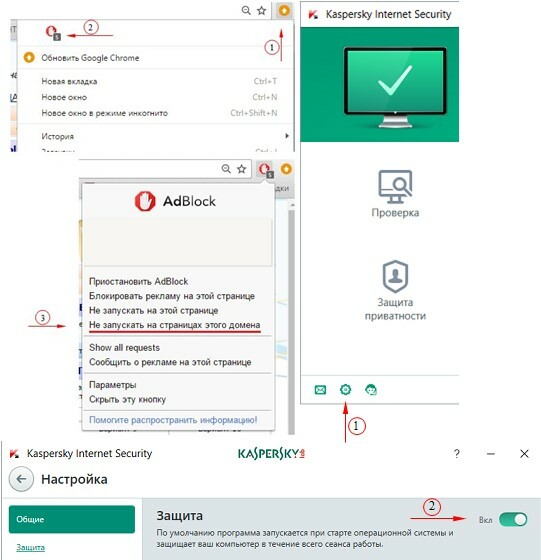 Образуйте от слова QUICK однокоренное слово так, чтобы оно грамматически и лексически соответствовало содержанию текста. Some birds fly very ______ and they can feed on the wing. They migrate in the daytime. Swallows and swifts do this. Cuckoos fly during the night and rest and feed during the day. Swimming birds can fly both during the day and night, in complete ______ . How long can birds fly for without a stop? The tiny hummingbird weighs only about as much as a small coin. But it has ______ wings. It flies 1,000 km across the Gulf of Mexico to the southern coast of the United States in 24 hours without a stop! You may think it's ______ , but other small birds can fly non-stop for up to 90 hours! Life is made up of little things: some unimportant memories from childhood that, in fact, shaped your character. I 32 ______ on Third Avenue in midtown Manhattan during the 1950s-60s where family life was centred around old 33 ______ of flats and small stores. Third Avenue was my old neighbourhood and it had character. It was 34 ______ with working families of Italian, German and Irish origin. We shopped together with all those people and their kids played together. Third Avenue influenced the way our family lived. I absorbed the street life. It gave me an 35 ______ that I could not have received in any other place. To me, it was home. In a recent walk around Third Avenue my eyes 36 ______ signs of the old neighbourhood but couldn’t find any. If I hadn’t been born here and someone described the area, it would be 37 ______ to believe. It wasn’t because a few buildings had changed — everything had changed. The transformation began in the late 1950s and 60s when corporations replaced the old neighbourhood. In the early 1960s, the houses were pulled down. Families were forced to 38 ______ , the small stores went out of business and the old neighbourhood was changed forever. And now there is a lack of character in the transformed neighbourhood. 1. Space exploration was the greatest achievement of the 20th century. 2. Some people believe that English should be the only foreign language taught at our schools. Others think that German, French and Spanish should continue.